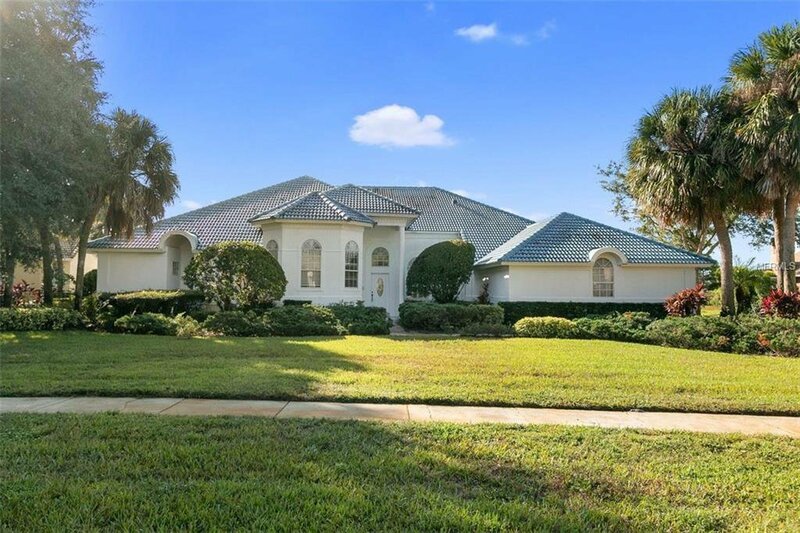 Custom Windermere Home on 1/2+ acre lot with 3/4 bedrooms (office can easily be converted back to 4th bedroom), 2.5 baths, bonus/game room and screened pool. Great floor plan includes formal areas, family room with fireplace, well separated bedrooms, large kitchen with island, breakfast bar & dinette area and wonderful bonus/game room with fireplace. Spacious master suite with 2 walk-in closets, double vanities & jetted tub. Wet bar. Large utility room. Light and bright home. 3 car side entry garage. Pavered driveway. Tile roof. Best price and priced to sell. Listing courtesy of REALTY EXECUTIVES CENTRAL FL. Selling Office: PREFERRED REAL ESTATE BROKERS.